Pricing: Private Tour - $20 per person, Children 12 and under $15. Extended visit including time (half hour) for a picnic and use of the table, add $25 flat fee. Appointment Required - Call 707.290.7915. 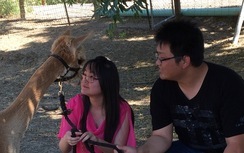 We enjoy sharing our rural alpaca lifestyle with others. 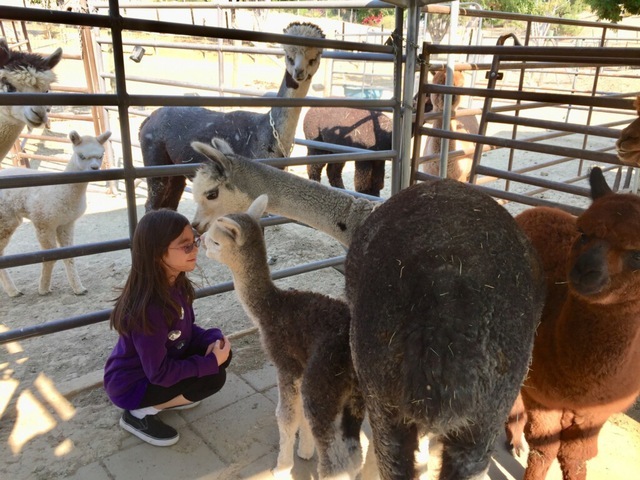 Come and get to know the alpacas. Take pictures and pet the alpacas. 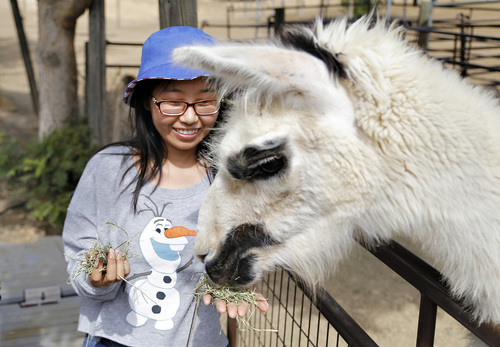 Feed the alpacas and llamas. 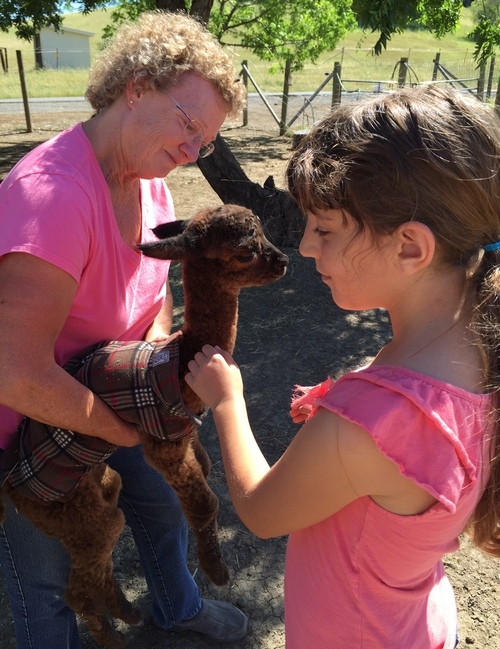 Shop our ranch store for alpaca fiber products, and novelties. Bring a picnic lunch, if you plan an extended stay. We require payment in advance for this service. We are OPEN BY APPOINTMENT ONLY - TOURS ARE PRIVATE. Please DO NOT just show up at the gate, we may not be available. If that happens you will be disappointed. Also, some dates are busier than others. It's best to book weekend dates at least a few weeks in advance to get the date/time slot you prefer. Please call if you find yourself running late (or early) so we can plan our time. If you fail to call and are more than 15 minutes late we reserve the right to cancel your appointment and turn our attention to the next tour or another task or project. Visitors must wear CLOSED TOE SHOES (no high heels) and other apparel appropriate for the weather and outdoor activity. Young children must be kept under close supervision. Visitors unable to comply may be turned away. No pets please! If you bring your pet, you will have to leave it in the car. This is for the safety of the alpacas as well as your pet. Note that TOURS START AT THE BARN. As you come down Norman Ct, you will see a green and white barn on the left - it's before our driveway. Please don't drive up to the house - you will just have to turn around and go back to the barn. For those of you coming from the San Francisco Bay Area, note that FREEWAY TRAFFIC IS OFTEN HEAVY, ESPECIALLY ON THE WEEKEND. Please respect our time and that of other tour groups that follow your appointment. Plan to leave early enough to allow for heavy traffic. This is a working ranch and visitors are expected to understand that there may be hazards not normally encountered.